Xbox Scarlett will use Zen 2 and AMD Next-Gen GPU Technology; 4K @ 60 FPS is "on the agenda"
Home / Technology / Xbox Scarlett will use Zen 2 and AMD Next-Gen GPU Technology; 4K @ 60 FPS is "on the agenda"
The next console generation is approaching quickly, with both PlayStation 4 and Xbox One consoles now over five years, but official details are still scarce on the new consoles Sony and Microsoft will release in the near future. 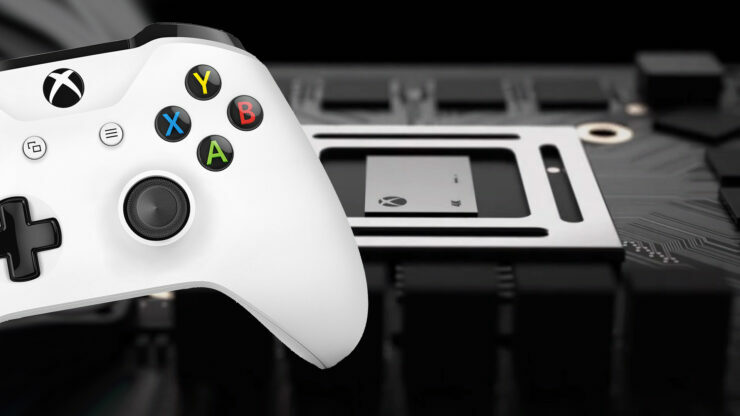 According to rumors, Xbox Scarlett, as the next-generation Microsoft console appears to be coded, will bring some very important changes to the console space. According to a video report by renowned Microsoft insider Brad Sams (Executive Editor of Thurrott.com), the Xbox Scarlett console, which will be released in 2020, will use Zen 2 and AMD's next-generation GPU technology. The goal is to have games running at 4K resolution and 60 frames per second. This is consistent with earlier rumors on PlayStation 5 hardware, which pointed to an eight-core Zen CPU and a Navi-based GPU. Once again, both Sony and Microsoft consoles can be powered by AMD technology. For the next generation, Microsoft will take a varied approach and release various types of hardware like can run games through the cloud, like a cheap Xbox console that runs games via the Azure infrastructure, as well as traditional hardware. The company will embrace digital distribution even further, with changes in the Windows Store (as promised by Phil Spencer, Executive Vice President of Gaming in Microsoft) and Xbox App, creating a unified system. Backward compatibility is also in the Cards, which is not surprising, considering how good it is on Xbox One. All this information has not been verified officially, so we need to take it with a grain of salt for now. If the console really comes in 2020, we'll finally hear more about it sometime next year, possibly on E3 2019; After all, Microsoft has already announced the Xbox One X console one and a half years before it was actually sent.